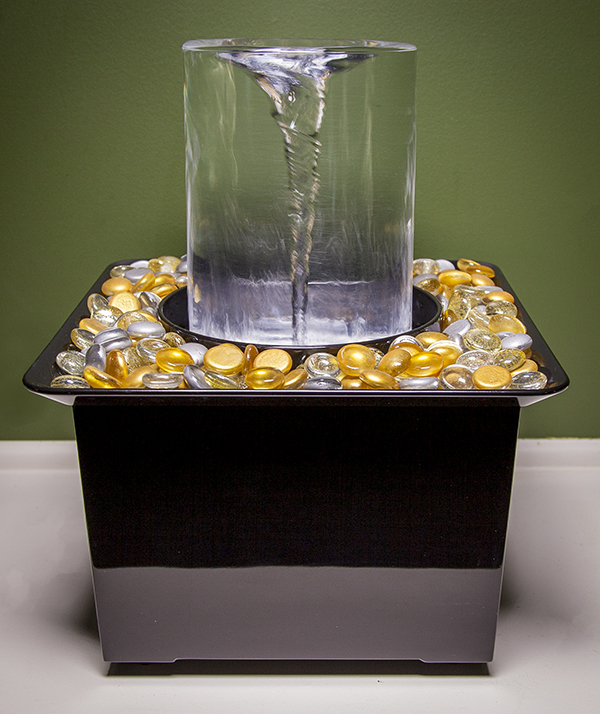 The tabletop Vortex Fountain is exceptionally easy to decorate! You can even use it as a candy dish! (COLUMBUS, Ohio) Now you can have your own “pet tornado!” The Quox Creek Vortex Fountain, the online sensation enjoyed by more than 21 million people, now is available for your home and office. The Vortex Fountain exploded onto the world stage in a viral video posted by Columbus television meteorologist Marshall McPeek accruing more than 336,000 shares and reaching more than 48 million Facebook feeds. The fountain’s visually-mesmerizing swirl and the tranquil sound of falling water instantly captivated fans. 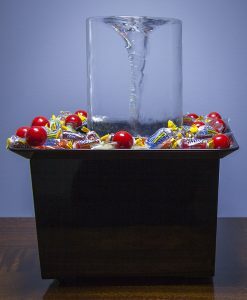 The tabletop-sized fountain features an overflowing vortex surrounded by a removable tray that can be garnished with stones, ornaments, dioramas, plants, or even used as a candy dish. It’s easy to personalize your fountain for holidays, seasons, moods, or to match your decor. 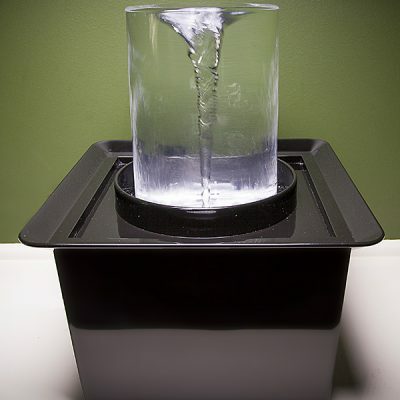 The patent-pending Vortex Fountain doesn’t splash, so it’s perfect for your desk or centerpiece. 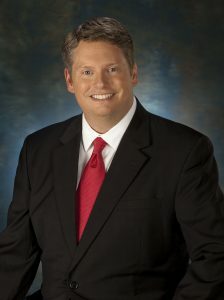 Marshall McPeek is a meteorologist for ABC6 and FOX28 in Columbus, Ohio. But the tabletop-sized fountain is just the beginning. “Right now, we are developing the garden-size fountain, like the one in the original video,” McPeek says. “We hope to make it available soon!” Additional designs are expected in the future. The tabletop Quox Creek Vortex Fountain is available now through the secure website, VortexFountain.com, and through the Facebook store at Facebook.com/VortexFountain.